I’m not a huge fan of extended warranties or “protection plans,” though I do buy them for certain items. How do I decide whether an extended warranty is a good investment or likely a waste of money? It’s an insurance policy – you’re protecting yourself against unexpectedly having to replace or repair an item you purchase. Some stores really push extended warranties because they’re extremely profitable. Most consumer products aren’t going to break down right away, though, and if they do, it’ll generally happen during the initial manufacturer’s warranty period. Back when I used to shop at brick and mortar stores for electronics, I avoided stores that pressed extended warranties. I really wanted to ask them why they are selling such shoddy merchandise that everything requires an add-on warranty with it. Keep in mind that prices on some extended warranties are negotiable. This especially applies to car warranties. If you turn them down a few times, they’ll keep reducing the price. Here are 10 things to ask yourself when deciding whether to buy an extended warranty, maintenance agreement, protection plan or care plan. Some stores will offer you an extended warranty when you buy a curling iron or a hair dryer. I’m not shelling out an extra $2 or $3 for an extended warranty on something that costs $20 or $30 to replace. Plus, I don’t think I’ve ever had one that lasted less than a couple of years, so you’re almost guaranteed to be flushing away that extra money. However, if you’re buying a high-end appliance costing a few thousand dollars, you might want to think twice. Many new appliances contain expensive, computerized parts that can cost hundreds of dollars to repair. Companies wouldn’t sell extended warranties if they weren’t profitable, though, meaning they expect overall repairs to cost a whole lot less than what customers are shelling out in payment for warranties. How Long Should This Device Last? As mentioned above with a curling iron or hair dryer, these devices tend to last longer than a one or two year care plan. Even most large appliances will probably either have problems during the warranty period or they’ll last a few years before needing service. I can’t recall ever having problems with a large appliance or TV set within the period that would have been covered under an extended warranty. It’s true that they’re expensive to repair. Plus, many items don’t seem to last as long as they used to. But is the item really likely to break down during the warranty period? How Likely Is It That This Device Won’t Last As Long As It Should? I don’t buy many non-grocery products without researching online reviews first. Amazon’s reviews can be absolutely golden, but you have to read the actual reviews and look for the ones that provide useful information. You could notice a pattern of defects in a product, in which case, you may want to pick something else rather than purchase an extended warranty. If you’re buying a gadget for a child or teenager or someone else who is hard on stuff, think about how likely it is that the item will get dropped, squashed, stepped on or otherwise damaged. If this seems likely and you can get a reasonably priced warranty that covers accidental damage, it may be worth considering. Should I Even Buy This Model? As noted above, online reviews can point out possible problems with products. Would you rather look for something else now or deal with potential issues down the road, warranty or no? If you buy something with an excellent track record, you might feel better about skipping the extra expense of an extended warranty. How Critical is This Product for My Work/Life? If being without a device for any period of time will cause major inconvenience, you may want to look closely at an extended warranty. This is especially true for laptops and desktop computers. You probably don’t want to have to take your computer to a shop and leave it there for a few days. Plus, what you’d pay to fix it may come close to what a new computer would cost. Will It Cause Hardship to Replace or Fix the Item Later? In a perfect world, we’d all have the discipline necessary to put money aside for unexpected expenses such as repairs to TVs, computers and appliances. The fact is that few of us actually have money saved to buy new appliances or pay for expensive repairs. Extended warranties can provide some benefits, including peace of mind that you won’t have to pay for unexpected repairs and probably speedier repairs than if you didn’t have the warranty. Could I Fix It Myself or Get Friends/Family to Fix It? I’ve never considered myself handy around the house. Over the past few years, though, I’ve fixed more and more household items on my own. My mom and I managed to quiet my squeaky dryer. I also did most of the repair work of my dishwasher. Even though I know how to repair computers, I still tend to buy extended warranties on those, like I did for my daughter’s laptop recently. I know how much the parts can cost on a computer repair and how likely it is that an 11-year-old’s laptop might become damaged, so I decided that the Walmart Care Plan was a good choice. Make sure you read the fine print. If the warranty is for an electronic device like a tablet, does it cover battery problems? If it’s for a computer, is it an onsite warranty (meaning they’ll come to your house to fix problems), or a depot warranty (meaning you have to take or ship the computer somewhere)? When buying a depot warranty, make sure you’re okay with sending your computer away or taking it somewhere. This may result in their sending you another unit – probably a refurbished device. Then, when your replacement arrives, you’ll need to reinstall all of your programs and restore your data files. Does the warranty cover accidental damage? 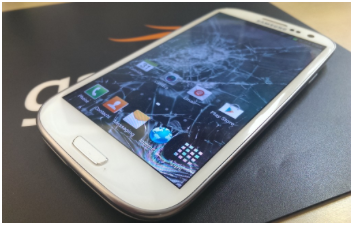 A lot of damage to electronic devices is self inflicted – shattered screens, liquid damage and so forth. How Much is the Copayment for Warranty Service? One thing that catches some people off guard is the copayment attached to cell phone insurance. You might pay your mobile carrier $10 a month or more for a service plan, then still have to fork over as much as $150 if you need a replacement phone under the agreement. This doesn’t seem like a great deal considering that you’ll get a used (refurbished) replacement phone, and you could buy certified pre-owned devices from Gazelle for close to what some mobile warranty providers charge in copayments, without making monthly insurance payments. What’s the Online Reputation of the Extended Warranty Provider? Most people ask home sellers to pay for home warranties when they buy houses, but, from my experiences and those of people I know, these aren’t worth much. You won’t have to search long on Google to find a bunch of complaints about home warranty companies, either. I’m not saying don’t ask for one when you buy a home. I’m saying don’t count on it to actually pay for much of anything. When it comes to extended warranties on consumer products like electronics and appliances, you probably won’t deal directly with the retailer but with a large warranty servicer such as Asurion. This company services warranties for a number of major players, including Walmart, Target, Verizon, AT&T, DirecTV, Costco and Office Depot. Some retailers make a good portion of their profits from selling extended warranties. Even so, extended warranties do have their place, and there isn’t a simple right or wrong answer on buying them for every person and situation. What has been your experience with buying extended warranties? Do you tend to automatically jump on them or pass them by?